October is the month to celebrate pumpkin flavor everything, fallen leaves and the most important thing to kids, trick or treating. I have an eight year old, a four year old and a two year old and sometimes it’s hard finding little projects that don’t require messy paint and glue. Our oldest daughter, Juliet is quite the little artist and she’s always drawing something. Lately she’s been drawing costumes of what she wants to be for Halloween this year. 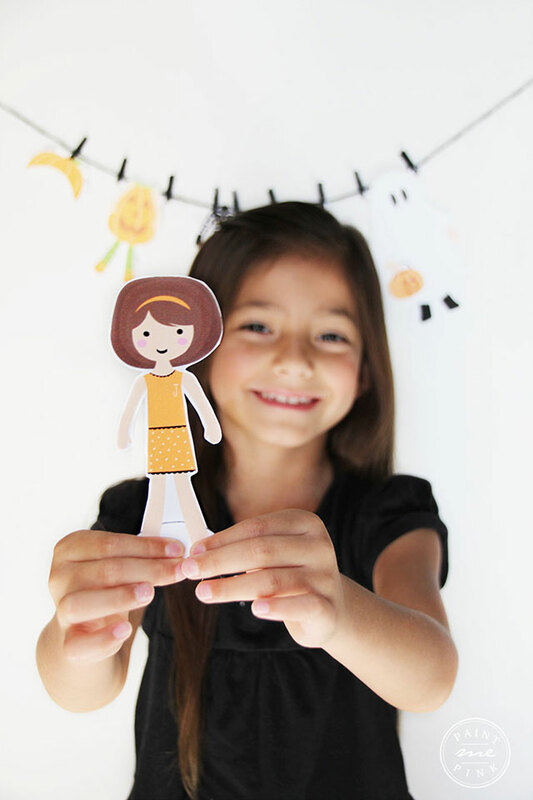 Her drawings inspired me to re-create them into little paper dolls. 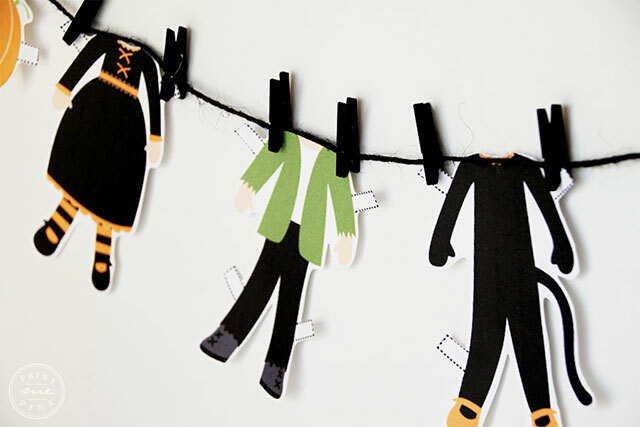 Do you remember the last time you’ve seen or played with paper dolls? I don’t! 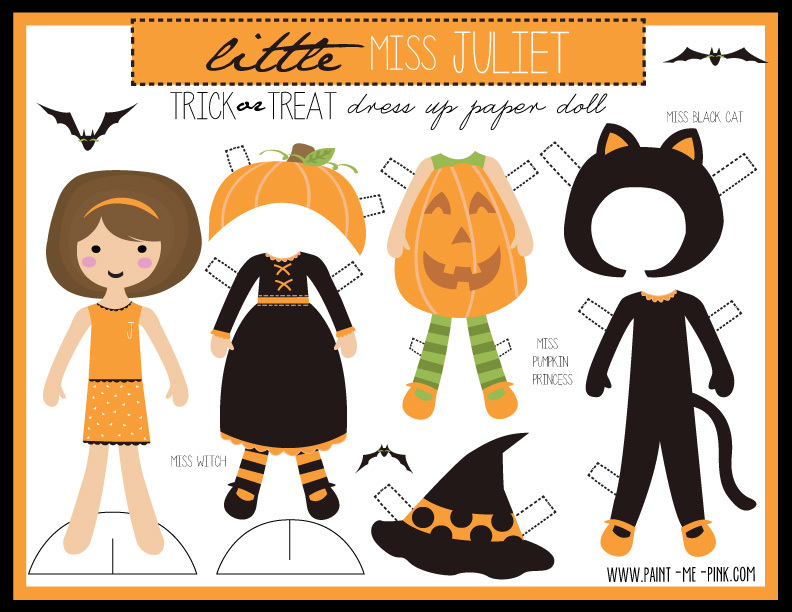 Juliet has inspired me to bring back paper dolls, something that many of us loved to play with as a little girls and have forgotten all about them. Inspiration is everywhere and most of my inspiration and creativity comes from my children. Juliet was very much involved with this project. 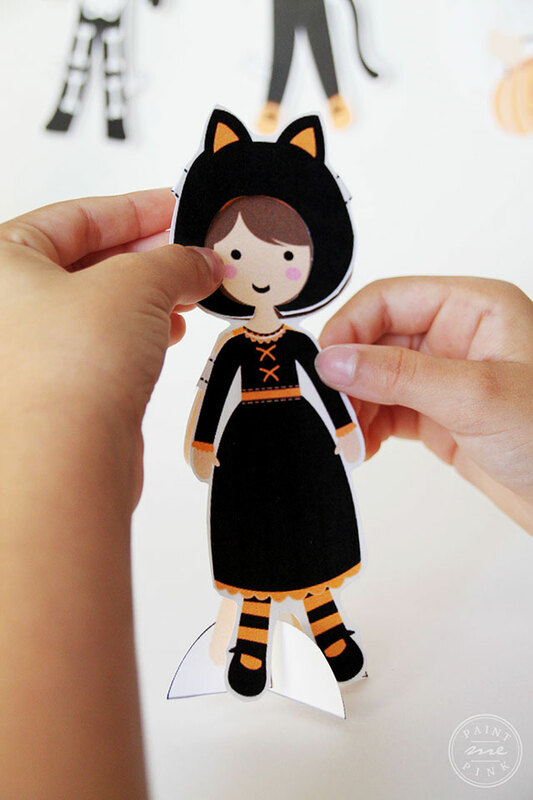 She showed me how her costumes should look like, from the colors they should be, to the stripes and polkadot details. 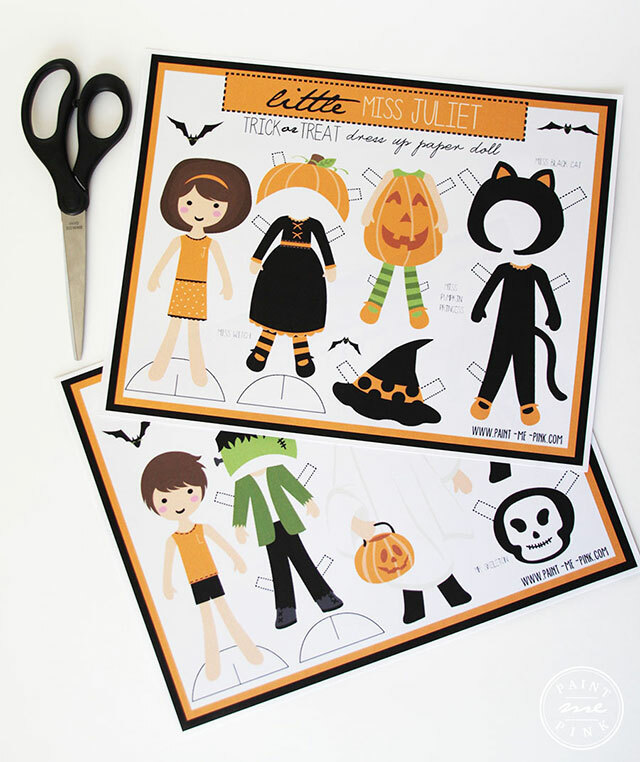 Her eyes lit up when her drawings came to life, so naturally I had to name the paper doll “Juliet”. 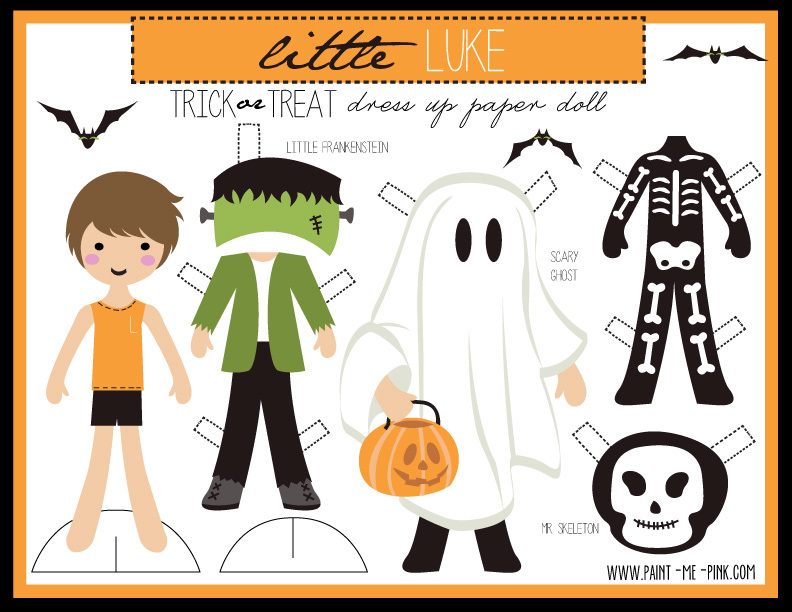 Since I have two girls and a boy I couldn’t leave the little boys out so I also made a boy paper doll printable as well. 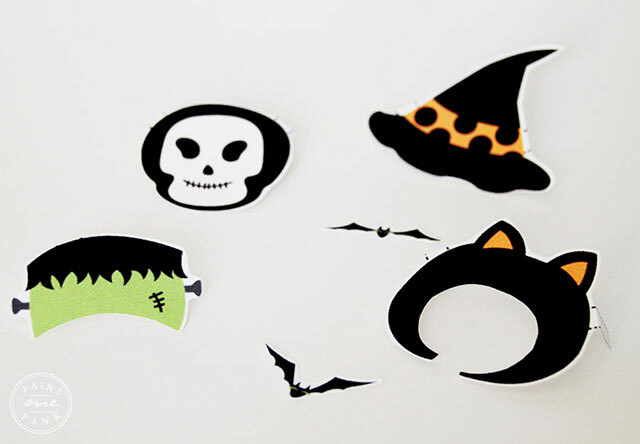 From scary ghosts to little witches your little ones will enjoy mixing and matching these fun Halloween costumes. 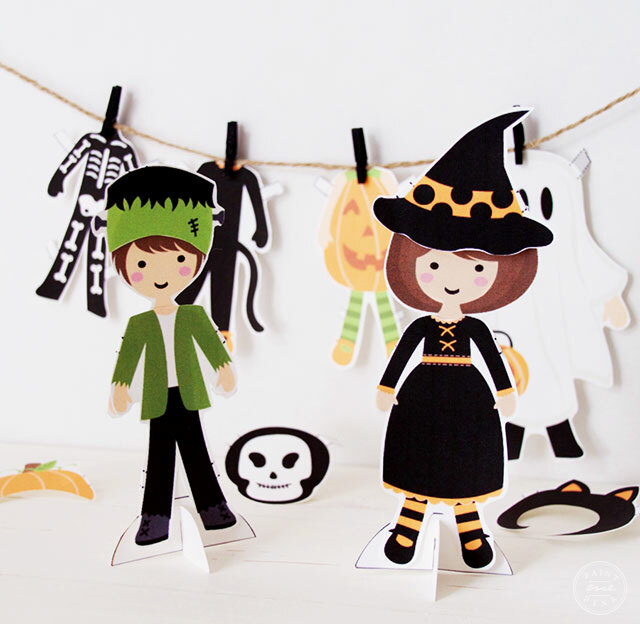 Plus paper dolls are a wonderful way to encourage kids to use their imagination and it’s mess free! I love mess free projects! 1. 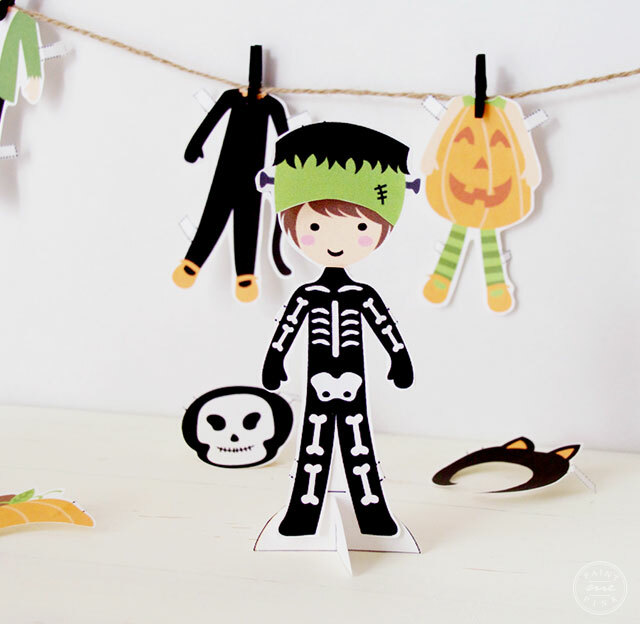 Download and print paper doll printable using the card stock paper. 2. 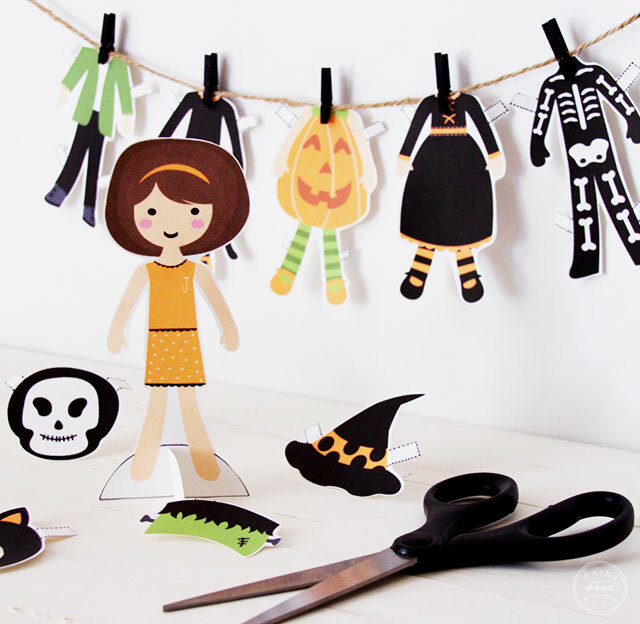 Cut around the paper doll. 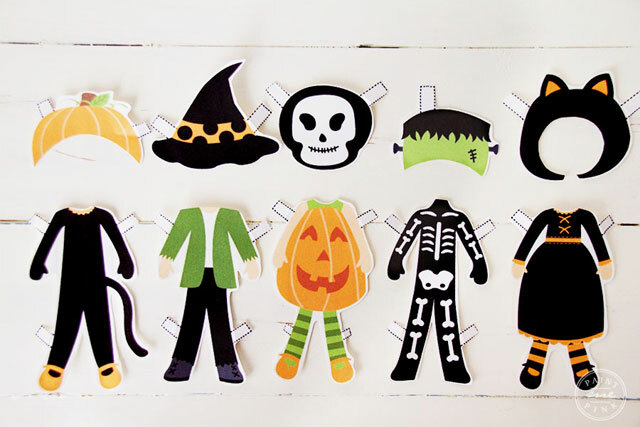 Note: Don’t cut to close to the paper doll, leave a small space, you can also cut the strips that connect the costumes wider or longer which may help hold better. 3. 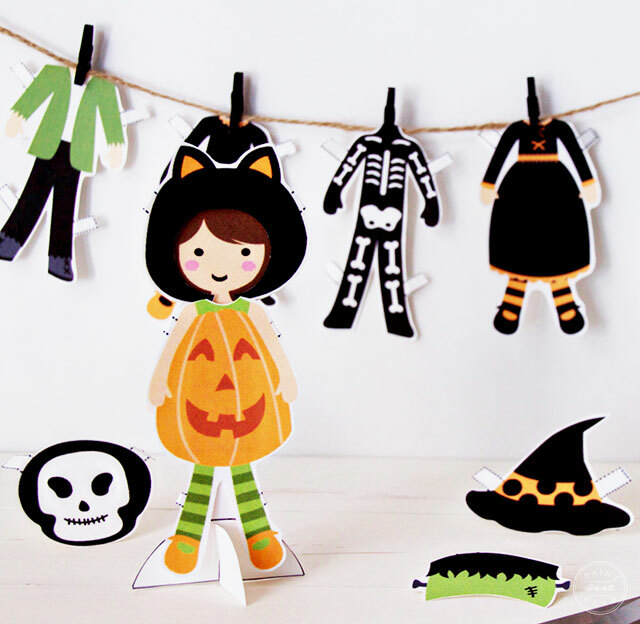 Have fun mixing and matching costumes! 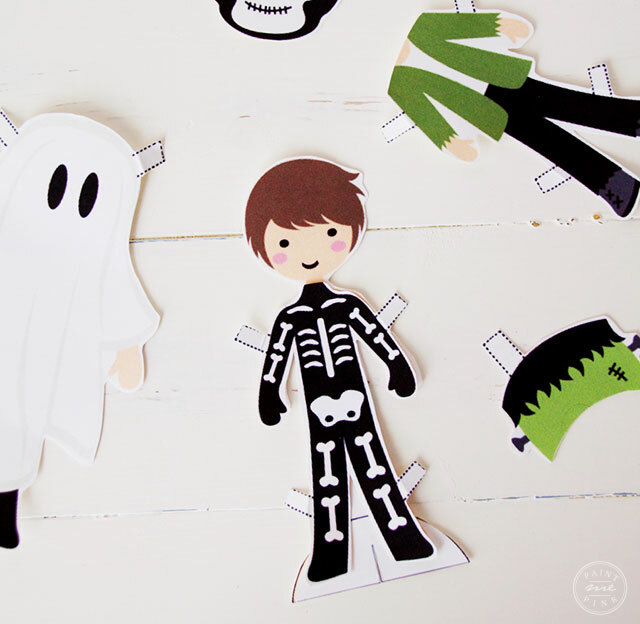 I hope everyone enjoys these cute little paper dolls! Have fun mixing and matching!